When BMW developed the new F90-generation M5, M Division engineers felt that 600 hp would be too much for just the rear wheels. So they went ahead and made the M5 all-wheel drive for the first time in history. And they do have a point, 600 hp is a lot for a rear-drive car. 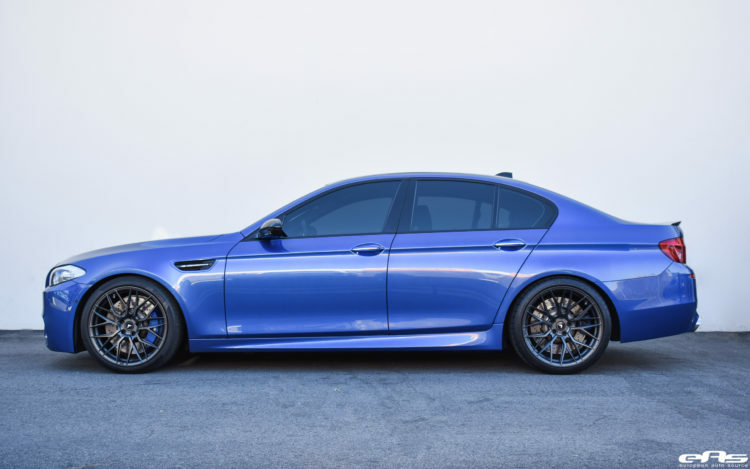 But try telling tuners of the F10-gen BMW M5 that, as this specific one has 800 hp, a Volkswagen GTI’s worth of power more than the F90 M5, and all of it goes to the rear wheels. In this new video from AutoTopNL, this 800 hp F10 BMW M5 hits the Autobahn for some top speed runs. Thankfully, they never mashed the throttle from a standstill, or the F10 M5 wouldn’t have gone anywhere, as it would have just roasted its tires into dust, until it was sitting on bare metal wheels. But from a rolling start, this 800 hp monster simply rockets away, the speed numbers flying by, and it does so with little drama. In the video, it hits well over 260 km/h (161 mph) pretty easily. What’s more impressive is how hard it continues to accelerate, even after its doing triple-digit speeds. That twin-turbo V8 just keeps pulling and pulling. But it always seems stable and never seems sketchy. The F10-generation BMW M5 gets a lot of flak, especially now that the new F90 is out, but it was a really good car. Its V8 is monstrous, its suspension is taught and its chassis capable. While it may not be the razor-sharp precision machine that most fans hoped it would be, for the price there aren’t many better Autobahn missiles than the F10 M5. Especially when you consider that you can now get, and tune it to make silly power, for a lot less than the price of the new F90-gen M5. Previous post VIDEO: What happens when a wrecking ball lands on an E46 3 Series?